Each summer, free meals are made available to all children 18 years and under at various locations throughout the metro area. The 2018 sites will be released the beginning of June. Check back for information at that time. We’ve developed a “Parent Guide to Community Resources” to provide families with information about a number of local organizations that can help support daily living needs. To view the Resources Guide, click here. Metro West Learning Academy is an alternative program shared by six school districts: Adel, Dallas Center-Grimes, Johnston, Saydel, Urbandale, and Waukee. Metro West Learning Academy is a student-centered environment with a staff that is committed to creating positive change for students, leading to social, emotional, and academic success for high school graduation and beyond. To learn more about these services offered by the UCSD, click on a category below. Julia Taylor, Rolling Green Elementary Principal, is the district administrator for the Extended Learning Program. 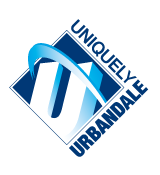 Contact: taylorj@urbandaleschools.com or 515-457-5900.